The BESSEY 3 In. light duty clamp-on vises are light and very portable. These vises are made from high quality cast iron for years of dependable service. Integrated anvil. 3 Inch Clamp-on Vise The BESSEY 3 In. light duty clamp-on vises are light and very portable. These vises are made from high quality cast iron for years of dependable service. Integrated anvil. 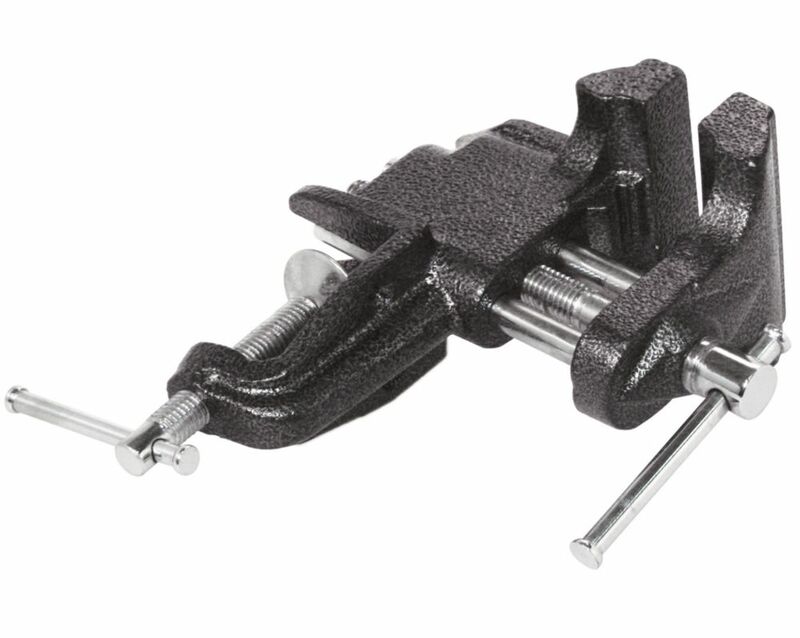 3 Inch Clamp-on Vise is rated 4.1 out of 5 by 135. Rated 4 out of 5 by Mike from It did what I needed it for. It could be a little more rugged and have a bigger or wider clamp. It did what I needed it for. It could be a little more rugged and have a bigger or wider clamp. Rated 5 out of 5 by LarryR from Good heavy duty table vice.... Good heavy duty table vice. Rated 5 out of 5 by Gjs from I clamped it to a wood sawhorse; It Worked Flawlessly. I clamped it to a wood sawhorse; It Worked Flawlessly. Rated 5 out of 5 by ArtStudent from Perfect! I needed a clamp to help mold and hold a wire sculpture I was making. This did the tri... Perfect! I needed a clamp to help mold and hold a wire sculpture I was making. This did the trick; attached it to a foot stool and not only was I was able to twist and shape rebar wire but also used it to keep the sculpture in place while I put the pieces together. Not too heavy, not too light - just right.